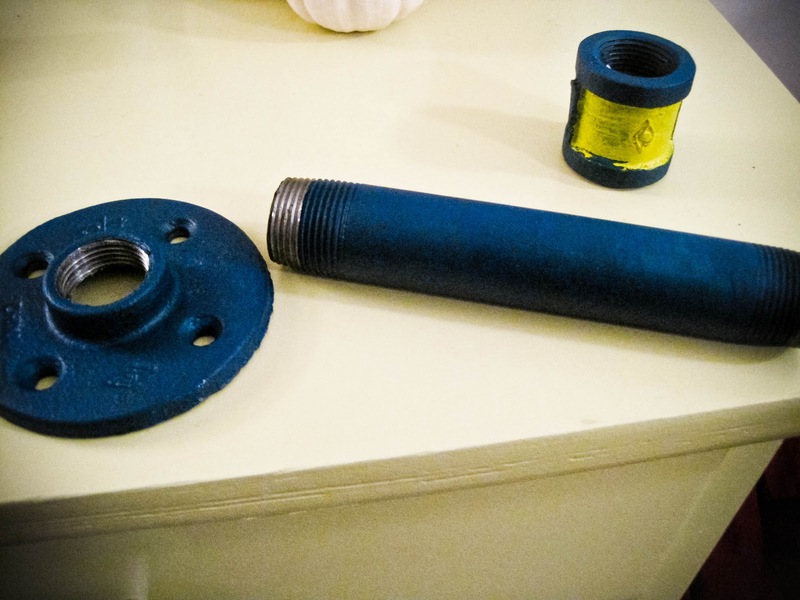 Can you guess what these parts do and what purpose they serve? ... form a candlestick holder! ﻿I know, I spend too much time at work, dreaming up things that I can make with the junk I see around me- but this one is truly inspired! I found these parts in a junk pile of plumbing parts, and snagged them for under a buck. The color I used is the Dark Teal that I featured as Friday's Color of the Week, and I through in a pop of bright yellow just because I'm digging the combination lately. To be honest, I'm not sure yet if I'll keep the yellow in there, but we'll see. To prep and paint, I used some warm water to get all the grease off the pipes, and sprayed a coat of dark gray primer. To finish it up, I just used some paint I had kicking around, and used both a fine brush and a thicker one to get into all the crevices of the pipes. 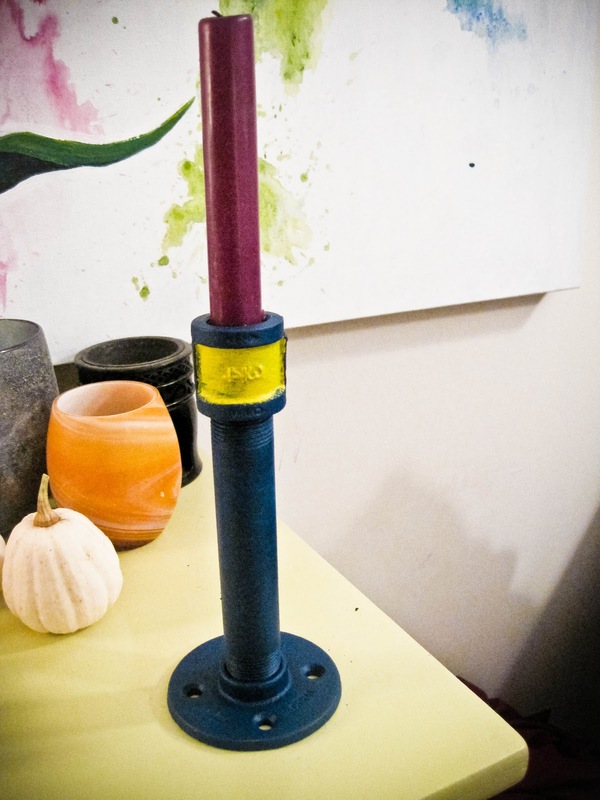 I love how the candlestick holder looks so industrial, but has a funky vibe in that cool teal tone. 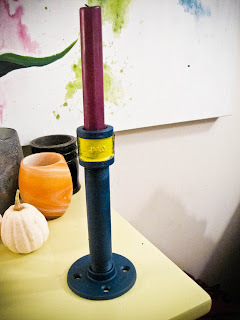 Now that I've put this candlestick holder together, I'm feeling uber-inspired with the plumbing hardware, and who knows what I'll come up with next! ?